down over the generations.White Hat also shares stories from his own experience. Using anecdotes he shows not only how the Lakota lifestyle has been altered but also how Lakota words have begun to take on new meanings that lack their original connotations and generate a different picture of Lakota philosophy. Language, inter-woven with history, tells the people where they came from and who they are. By gathering the tradi-tions and ceremonies in a single volume, with the history of how they evolved, he has secured the meaning of these practices for futre generations. 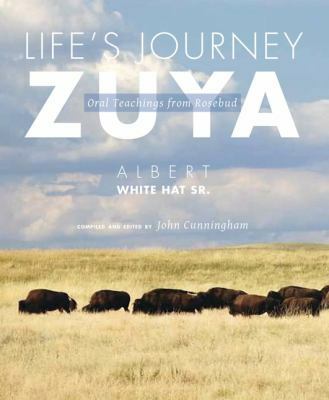 Filled with warmth and humor, Life's Journey--Zuya is an enjoyable and enlightening read.